"The more physically fit kids were, the higher their scores." Middle school students who are physically fit are likely to score higher on standardized tests measuring reading and math abilities, a new study has found. And, the average scores went up in correlation with levels of fitness, the findings showed. "The more physically fit kids were, the higher their scores," said the study's lead author, Dr. Trent Petrie, director of the Center for Sport Psychology at the University of North Texas in Denton. 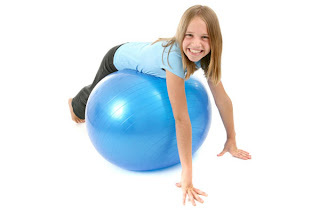 "Parents should encourage their kids to be physically active. There are some real cognitive and academic benefits that come from physical fitness," Petrie said. Results of the study are scheduled to be presented Friday at the annual meeting of the American Psychological Association in Orlando, FL. The school district provided the researchers with information on the children's race, age, grade level and whether they qualified for the free school lunch program, which was an indicator of the family's socioeconomic status. The schools also provided scores to the tests, which were given between one and four months after the researchers had assessed the children's levels of fitness. Fitness tests were administered during physical education classes to determine the youngsters' heart and lung health (cardiorespiratory fitness), as well as their body mass index (BMI), an indicator of how much body fat a person has. The children also filled out questionnaires that helped the researchers determine factors such as self-esteem and social support. "... for both boys and girls, higher levels of cardiorespiratory fitness predicted better scores on both the math and reading tests." In girls, while being physically fit predicted higher reading scores, so too did a higher BMI -- which indicates more body fat. "We were a little surprised by this finding," Petrie said. "It was not as strong an association as the one with physical fitness," he added. The authors suspect it may have something to do with girls this age entering puberty, which may be related to a higher BMI and slightly higher cognitive (brain) development. He said he plans to look for this relationship again in larger studies to see if it was a chance finding, or if the association holds up. "...we can say that there is a strong and predictive relationship between physical fitness and academic performance." "While we can't say 100 percent that physical fitness causes better academic performance, we can say that there is a strong and predictive relationship between physical fitness and academic performance," Petrie said. "It's hard to tease apart the exact reason for this association," said Becky Hashim, an attending clinical psychologist and assistant professor in the departments of psychiatry and pediatrics at the Children's Hospital of Montefiore, in New York City. "It may be that the children are getting more oxygen. When the heart and lungs are working at a higher capacity, it may allow the brain to work at peak performance. Children who are less fit may be sleepier during school," she noted. "I personally feel that there's probably a strong relationship between the confidence you get from being able to do something physical well and academic performance." Whatever the reason behind this association may be, "there's certainly no harm in pushing physical fitness," Hashim added. "Physical fitness may make you feel better, give you more confidence and improve your performance across the board," she said. "Physically fit kids are happier, have higher self-esteem, tend to have better relationships, and now we're beginning to see, there also seem to be benefits cognitively and academically." Petrie agreed. "Physically fit kids are happier, have higher self-esteem, tend to have better relationships, and now we're beginning to see, there also seem to be benefits cognitively and academically. Our study sends a strong warning to policymakers to reconsider the utility of physical education classes for kids," he said. Read more about keeping kids active at the U.S. National Heart, Lung, and Blood Institute.